On sale for the first time in a year! He knows her darkest secrets, sees into her dreams. Math class will never be the same. Reality is overrated. 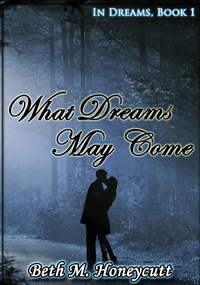 For shy, socially awkward Ellie, her dreamlife is what really matters. In dreams, she can hang out with Gabe, her lifelong best friend and secret crush. Sure, Ellie knows it’s kinda weird to have a friend no one else can see, but since her real-world friends currently number one, even an imaginary friend will improve her social life. Even better, since he isn’t real, she can tell dream-guy-Gabe anything, without ever worrying that he’ll ditch her for someone cooler or embarrass her by blabbing her secrets. And so what if she happens to have an itsy-bitsy crush on her reality-challenged friend? Who’s it hurting, really? But things are about to get complicated, because there’s a new guy at school—a guy with hauntingly familiar eyes. A guy who knows things about Ellie that he couldn’t possibly know. In a heartbeat, she’s dealing with an imaginary relationship that maybe isn’t so imaginary, a dreamguy who won’t stay in dreams where he belongs, and the unsettling realization that she may not be as ordinary, or as invisible, as she’s always believed. Melinda Ashley has a plan for her life, and a trip to Mars isn’t part of it. When she receives a spaceliner ticket as a high school graduation gift from her dad, she is dismayed, but reluctantly agrees to go with him–in part because she’s infuriated by her fiance’s high-handed declaration that she can’t. Her outlook begins to change when she meets Alex Preston, a second-generation Martian colonist who is going home after college on Earth. Alex believes settling Mars is important. He’s looking forward to the role he expects to play in the colony’s future. 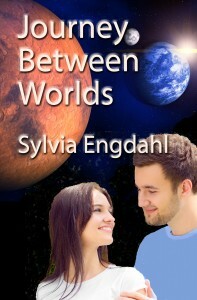 Melinda finds this hard to understand, yet she is more and more drawn to him and, while on Mars, to his family. Torn between what she has always wanted and upsetting new feelings, she wonders if she can ever again be content. It takes tragedy and a terrifying experience to make her aware of what really matters to her. Although this novel is set on Mars, it’s not about technology or exotic adventure. It’s mainly a story about human aspirations and human love, and is usually enjoyed more by readers who like romance than by avid science fiction fans. High school senior Olivia Winging gave up her love of photography when she gave up her boyfriend, Trevor Youngblood, a year and a half ago. She broke things off with Trevor because her mom married his dad, and dating your step-brother? Creepy. Livvy hasn’t been on good terms with her mother since, and one of her stipulations for staying at the Youngblood’s every other weekend is that Trevor can’t be there. When she gets nominated for the Junior Photography in Excellence award, Trevor insists she enter. She agrees—only if every photo in the portfolio can be of him. Knowing that Livvy can capture a person’s deepest secrets through her lens, Trevor hesitates before accepting the deal. As Livvy gets behind the lens of her camera again, her love of photography is rekindled. Unfortunately, the time she spends with Trevor also re-ignites the old flame for him she’s kept smothered for so long. In order for Livvy to finish her portfolio, she’ll have to face her feelings for Trevor as well as deal with the animosity between her and her mother. Livvy’s always been able to capture a person’s soul from behind the camera—but she’s not sure she likes it when the lens is suddenly focused on her. If she can’t find a way to forgive her mother and admit how she feels about Trevor, Livvy may end up losing more than just the photography contest. She could lose her heart.